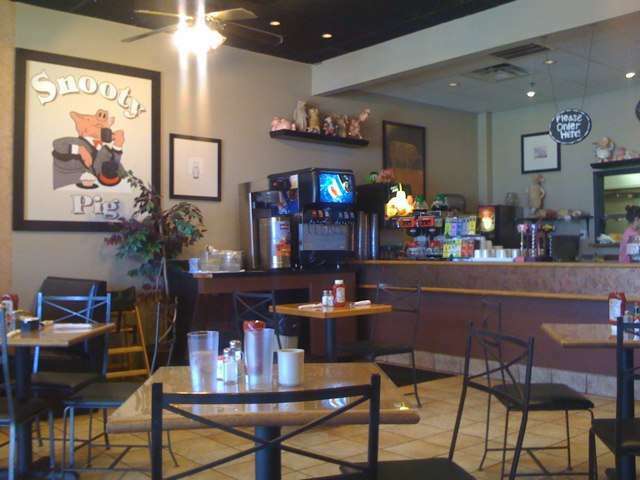 Known as well for our delicious food almost as much as we’re known as the best neighborhood spot to start each day. The taste explosion of Omelets packed with your favorite cheeses, veggies, meats and more …. The sublime syrupy maple goodness of pancakes, waffles or French toast…. But don’t forget about the Breakfast Burritos either. 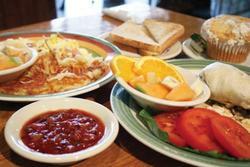 Spicy and sensational, these menu favorites are the best ways to kick start your day with a whole lotta flavor…. Don’t forget to check out the daily lunch specials like homemade soups, finger-lickin’ good sandwiches and more. We also offer a low-fat menu for those healthy Snooty Pigs out there. What a hit when you show up at the office with a boxful of low-fat muffins instead of donuts. Let us cater your next special event anywhere in the Metroplex! Call us and we’ll make your next breakfast gathering or lunch meeting a tasty treat. We offer nearly a full menu that you can mix and match for your needs --- we’ll cook it all up, hop into our hot pink Snooty Pig van, and bring it right to you, all ready to serve it up! 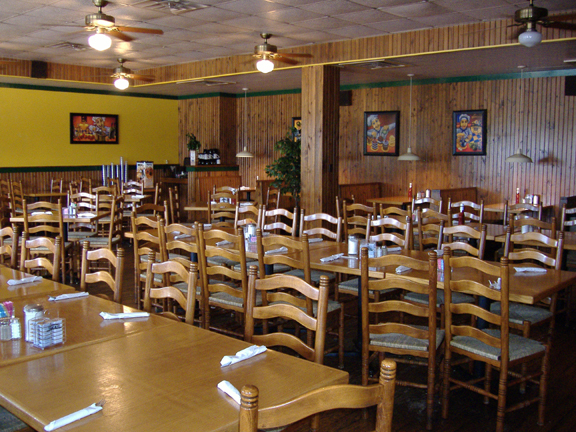 Be sure to think of us for your next Office Party, Breakfast Meeting, Box Lunches, Family Functions, Etc.